Sydney is known for nightlife, trails, beaches, parks, and museums. Your plan includes some of its best attractions: take in nature's colorful creations at Royal Botanic Garden Sydney, meet the residents at Sea Life Sydney Aquarium, trek along The Opera House to the Botanic Gardens Walk, and enjoy the sand and surf at Bondi Beach. 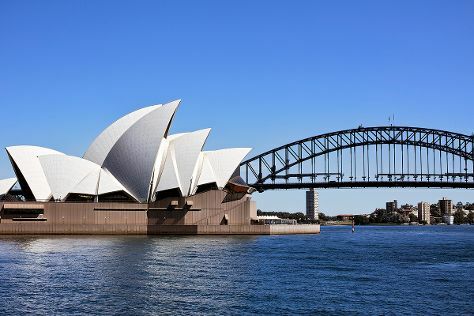 For traveler tips, reviews, more things to do, and more tourist information, go to the Sydney trip itinerary planner . If you are flying in from United Kingdom, the closest major airport is Sydney Kingsford Smith International Airport. In April, daily temperatures in Sydney can reach 26°C, while at night they dip to 17°C. Wrap up your sightseeing on the 11th (Thu) to allow time to travel to Byron Bay. 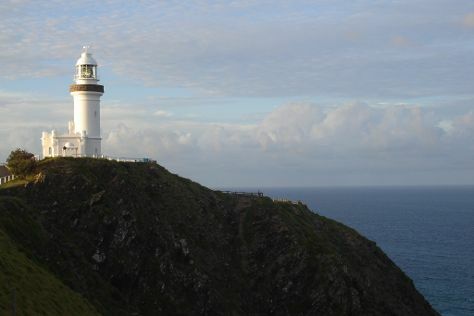 Start off your visit on the 12th (Fri): admire all the interesting features of The Farm Byron Bay, then visit a coastal fixture at Cape Byron Lighthouse, then stroll through Cape Byron Walking Track, and finally relax and rejuvenate at some of the top local wellness centers. Keep things going the next day: add some adventure to your tour with a kayaking and canoeing tour, then find your balance on the water with some of the best stand-up paddleboarding in the area, and then let the kids burn off some steam at Crystal Castle & Shambhala Gardens. For traveler tips, more things to do, reviews, and more tourist information, read our Byron Bay online route planner . You can do a combination of flight and bus from Sydney to Byron Bay in 4.5 hours. Other options are to drive; or do a combination of train and bus. In April, plan for daily highs up to 30°C, and evening lows to 16°C. Wrap up your sightseeing on the 13th (Sat) to allow time to travel to Port Douglas. On the 14th (Sun), see some colorful creatures with a scuba or snorkeling tour. Get ready for a full day of sightseeing on the 15th (Mon): look for all kinds of wild species at Hartley's Crocodile Adventures and then get to know the resident critters at Wildlife Habitat Port Douglas. To see where to stay, traveler tips, other places to visit, and more tourist information, refer to the Port Douglas trip planner . Traveling by combination of bus, flight, and shuttle from Byron Bay to Port Douglas takes 6.5 hours. Alternatively, you can drive; or do a combination of bus and train. Plan for a bit warmer temperatures traveling from Byron Bay in April, with highs in Port Douglas at 34°C and lows at 25°C. Finish your sightseeing early on the 15th (Mon) to allow enough time to drive to Cairns. Spend the 16th (Tue) among aquatic life with a scuba or snorkeling tour. Spend the 18th (Thu) wandering through the wild on a nature and wildlife tour. And it doesn't end there: tour the pleasant surroundings at Esplanade Boardwalk, enjoy some diversion at Esplanade Lagoon Pool, and admire the natural beauty at Botanical Gardens. To see reviews, photos, other places to visit, and tourist information, read Cairns attractions planner . Traveling by car from Port Douglas to Cairns takes 1.5 hours. Alternatively, you can take a bus; or take a shuttle. In April, daily temperatures in Cairns can reach 34°C, while at night they dip to 26°C. Finish up your sightseeing early on the 18th (Thu) so you can travel back home.